The issue of vehicle cloning and plate abuse is a concern shared by Bestplate, the BNMA and all parts of the legitimate number plate industry as well as by the government and its agencies. There are consequences in terms of vehicle and other crime when plates are wrongly issued and misused as well as the more personal issues at play when innocent motorists are confronted with fines relating to vehicle use when in fact their vehicle has been cloned. The introduction of Automatic Number Plate Recognition (ANPR) has brought this issue more sharply into focus and it is in everyone’s interest that this situation is rectified. 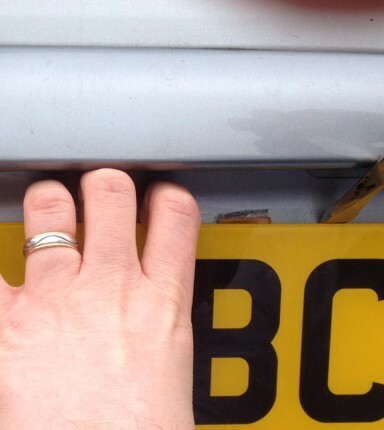 The regulations covering the manufacture and supply of number plates are complex. Regulations call up the British Standard (BS AU 145d) which outlines the performance requirement of plates in areas such as durability, reflective performance and impact resistance. This consumer protection measure is designed to reassure the motorist that the product they are receiving is of adequate quality. To this end, Bestplate exceeds BS AU 145d. Other regulations cover how the characters and other information should be displayed on the plate. In addition, there are separate regulations which determine how plate suppliers should be registered and how they verify and record the information necessary to guarantee that the plate is only supplied for the vehicle entitled to that registration. We think it is important that the motorist is easily able to obtain a plate to which they are entitled and which is of the right quality and design. The motorist should also have choice in a competitive market place in order to get the best value for money. However, a balance clearly needs to be struck – it is important to acknowledge that the plate is a legal document and is therefore a valuable item in its own right and if incorrectly issued can have serious ramifications. Hence, measures need to be put in place to eliminate the risk of abuse and non-compliance. It is generally accepted that there is a case for reviewing the content and operation of the standard and regulations governing the manufacture and issue of plates in order to better meet policy objectives and this is a process in which Bestplate, as a Founder Member of the BNMA is keen to play a full part.